Even as a Canadian, I had never put much thought into Canadian whisky at all, much less as a beautiful, complex and exciting product. Even when one author named J Murray (sorry, that’s too obvious… Jim M) decided to Crown a certain Northern Harvest Rye whisky of the year, I was still not convinced. However, during a recent visit to Kentucky, one bourbon distillery tour guide, appealing to the handful of Canadians in the crowd, pointed out that the influence of those of us in “the North” drinking rye whisky has led to rye’s increasing popularity in America. Like maple syrup, the coverage on rye whisky has slowly oozed into the press. 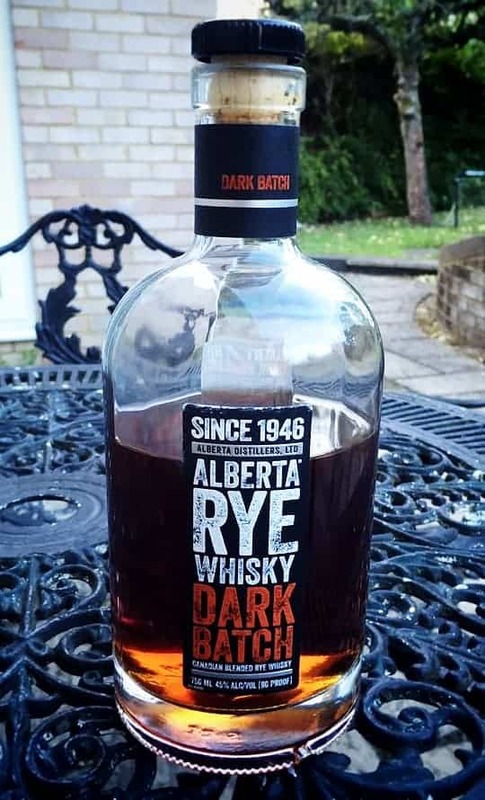 This is not necessarily groundbreaking – Canadian and rye whisky have historically been seen as synonymous given that the majority of Canadian whisky was in fact distilled from rye. So why the increase in popularity now? Is it the fact that Don Draper favoured Canadian Club? What did he (and others) know that I didn’t? A number of Canadian (and non-Canadian) whisky reviewers have waxed lyrical about their homegrown liquid for years. You will have seen rye from distillers all around the world covered here on Malt – check out Adam’s, Phil’s and Mark’s recent insight. Like Gretzky first stepping on the ice for the Oilers, people would say that this would be the year that Canadian whisky would announce itself on the world stage (although perhaps given the lack of success, a Toronto Maple Leafs analogy would be more appropriate). 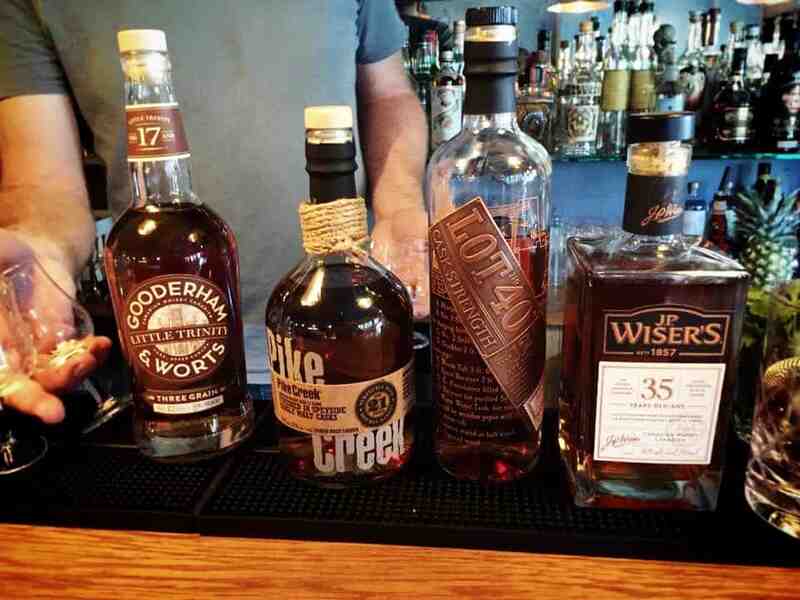 That being said, Canada’s neighbours to the south have caught on and a number of American distillers have been introducing rye into whisky production – take a look at Whistlepig. The addition of rye typically results in a spicier and drier whiskey. This flavour profile makes rye a hit with mixologists, and with the advent of the cocktail culture over the past decade, venues all over the world have increasingly made sure that their bars are stocked with rye aplenty. And voilà, rye is suddenly cool and perhaps the rye revival is finally on. Lot No. 40 is produced as part of the “Northern Border Collection” from Corby Spirit and Wine Limited. Corby has its roots in Canada, with Henry Corby starting up his distillery in 1837 in Corbyville, Ontario – if helpful, that is a two-hour drive from Toronto (if you are still scratching your head then I give up on you), although the original distillery shut down in 1989. In 1918, Corby was brought into the JP Wiser’s group. Skip ahead a century and the company is currently owned by Pernod Ricard, who purchased Corby in 2005. Lot No. 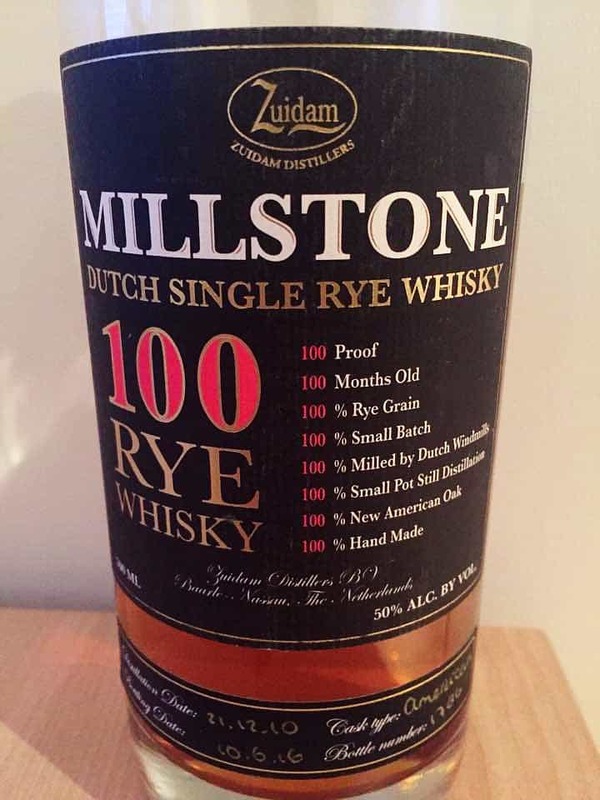 40 itself is a rye whisky and dates back to Joshua Booth, the distiller who in the 18th century, settled on a piece of land near Millhaven, Ontario (I won’t even try to explain where this is) called… you guessed it, Lot No. 40. In 1998 (that was now over 20 years ago – I feel old too don’t worry), then master blender Mike Booth decided to revive the brand (working off a formula dating back a couple of centuries and passed through the generations of the Booth family). Sadly, the whisky tanked as people in Canada and abroad were far more interested in premium Scotch and bourbon. These days, Lot No. 40 is distilled from a 12,000-litre single copper pot still at the Hiram Walker & Sons facility in Windsor, Ontario. For a bit of extra credit, this map should help you put this all into perspective and also improve your Canadian geography. Lot No. 40 uses a unique approach to distillation compared to other Canadian producers – they do not use a continuous still and instead produce on batch at a time. The result is a higher presence of fruit and floral notes from the distillate. In the case of Lot No. 40, there is an increased use of new oak compared to other ryes and therefore those vanilla, honey and butterscotch should shine through a bit more. The added touch for this first release is that it is a cask strength special edition, so we should expect a bit more oomph. On the nose: Cardamom and cinnamon immediately hit me like the they were propelled by rocket fuel. After getting over that punch in the face, I am met with dark and fragrant plums and dried fruits (apricots, raisins and pears). A nice wave of butterscotch arrives. Perhaps I am searching for it but some light springtime notes (a scent of orange blossom, perhaps?) but they are there, more as background noise in this myriad of aromas. Those are accompanied intermittently by some citrus elements. Pickle brine, however brief, also makes an appearance. In the mouth: Powerful from the outset. Honey and caramel work in tandem. The spice – cinnamon and clove notes – play a booming chorus through the mouth. Vanilla, pipe tobacco and dark cocoa then land down with a sprinkle of brown sugar. There is a noticeable oak element that permeates alongside some grain and earth features. Like on the nose, the dill arrives shortly thereafter. There is also nice, viscous texture – meaning it sits pleasantly and the flavours last. The spice translates into hints of pepper in the finish but also slightly bitter notes, losing some balance with the fruit and other flavours but a lovely bit of complexity here. On the nose: Unquestionably the most intense and wonderfully wild nose of the Hiram Walker Rare Releases. The Lot 40 genes show through in big violets and magnolias. Massive toasted rye bread too, and lashings of black cherries. Dill and fennel, as you’d expect of a high rye, but sweetened somehow. Just a huge, huge nose all in all, but huge on aroma, not on over-the-top alcohol. In the mouth: Big, juicy, mouthcoating body. So exuberant and packed with flavour. Impossible to sip without a massive smile on your face. More of the fennels and florals, offset by that rye bread and black pepper. The dark fruits are here too; plums, black cherries and blackcurrant. An almost saline-esque freshness creeps in with time, which is possibly the influence of a woody nutmeg. The whole thing is bound together by light caramel. Huge, complex and superbly weighted. Awesome. On the nose: Oh, very creamy with an enduring sweetness. A herbal edge as well. Interesting. Lots of brown sugar, basil leaf, marzipan and chocolate oranges. Melted butter, walnuts, cranberries and some varnish. Adding water reveals beeswax, pinewood and a pick & mix of liquorice, cloves and cherrywood. In the mouth: A nice mouthful, that’s an enjoyable texture. Punchy so this bottle has something to say and that’s always appreciated. Oddly, that Scapa tinned peaches note, more brown sugar and caramel. Yes, its a sweetie of a dram and for me brings back memories of a dessert wine, but not verging into the excess of ice wine. Dark chocolate, cherries kick around as well. Water should be beneficial and it is. More cloves and golden syrup with Szechuan pepper spicing. It does lose some of its body and edge however this Lot 40 is fun to play with. A very good dram. A leap in the right direction for Canadian whisky and the team should be very proud of getting this out to market. It is still a young whisky that has a few hurdles to overcome in reducing some of that disjointedness, but nonetheless this is a standout overall. Considering the retail price was 70 Canadian Dollars (that is £40) and available in stores for quite a reasonable amount of time, you cannot complain. Completely sold out now but the 11-year-old (the 2018, second release) is still available at retail. Sadly, the price of the second release has increased by 50% too – is nothing sacred? I fully admit I am a bit late to the game on this review, but I was able to grab a sample from a friend (it’s nice to have friends in cold places). But that also means a sample of the 11-year-old is on its way to my mailbox, so keep an eye out! On the Canadian whisky scene – new Canadian distilleries are slowly popping up (perhaps not as quickly as the new distilleries in Scotland) and rye might soon get its day in the sun. Hiram Walker & Sons’ incumbent master blender, Dr Don Livermore, is constantly looking at the various processes involved, trying to improve and dissect the variables that make up the flavour profile of each release. This is can only be commended and is what devotion to one’s craft is all about, something many distilleries around the world could learn from. It signals that exciting times are ahead, and we can hopefully start looking forward to future bottlings from across Canada. Those same Canadian whisky writers who back in 1998 lamented the loss of Lot No. 40 will probably be telling you that they were on to something back then. As someone once put on a t-shirt, “the North remembers”. Don’t be surprised if it remembers those who wrote off Canadian whisky. Firstly, my thanks to Roy aka Aqvavitae for the generous sample. I swapped a Deanston American Craft Ale Finish so I reckon that’s a fair deal. And to Henry for letting me drop into his 2nd article for Malt. Maybe I need to recalibrate for Canadian whiskies? I have Canadian relatives, I like Poutine and I’ve been over there a couple of times. There’s also a really good Canadian food shack nearby called Down the Hatch – just across the greatest bridge in the world™. So we’re all set for everything Canadian! This whiskey is just a bit too sweet and I’d struggle to drink too much of it in a single sitting. A nip and that’s enough. Sure, some fun to be had with water and the assortment of spices and sugary aspects is entertaining. I’m interested and that’s a start. Yes, it was almost a 7, but I’m a dour Scotsman and I’d always recommend you check out our Scoring guide. Lead image from the Whisky Exchange who no longer have any of this whiskey left! Thanks WT! Nice to hear the feedback. I definitely think this is interesting enough to try at least once (and perhaps more than once to really get a feel for it). Broadening your horizons is something I definitely promote. In terms of getting your hands on it – a few places will have it. I find that staying in touch with these places and keeping my ear to the ground, and a bit of luck, is the best way to jump on the bottles that make their way into the country. Cheers!